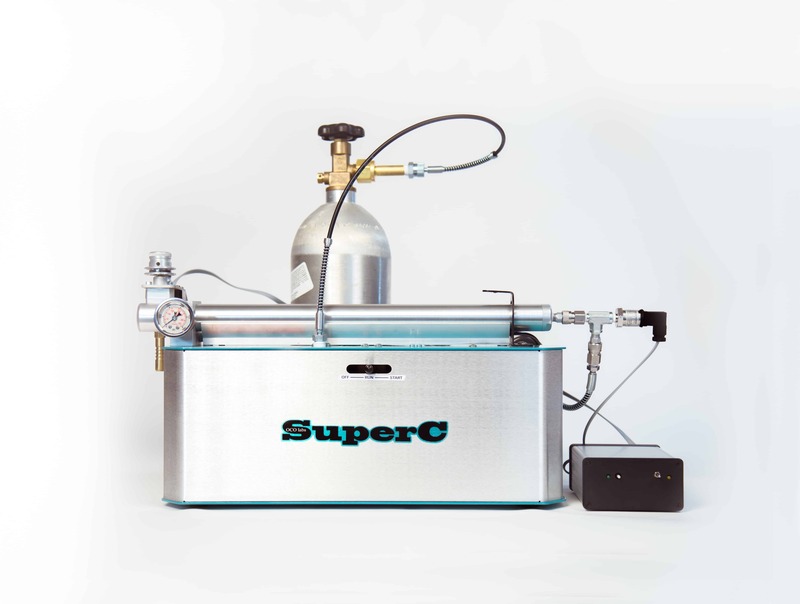 The SuperC is the base model extractor and the core product of our modular design. Now includes AutoPilot. 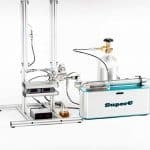 The SuperC is the base model extractor and the core product of our modular design. 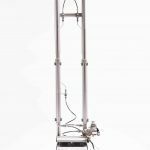 Capable of being expanded, this model features a one ounce source chamber and an automatically operated vent valve. 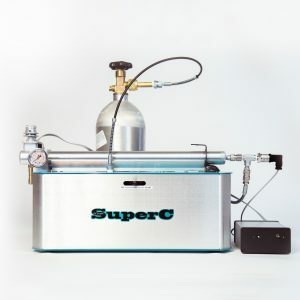 Requiring only one standard 110V circuit to operate and a standard gas feed tank, the SuperC can be used most anywhere. The updated SuperC now includes the AutoPilot. Other updates include: dynamic AutoPilot code, improved collection, more energy efficient motor, faster gearing for increased extraction efficiency. Please Note: We do require an authorizing signature for all purchases, a photo ID will also be required for credit card purchases. All orders can up to 5-7 business days to process. We will send your tracking information when order ships out. ALL International orders for this product require payment via Bank Wire Transfer prior to shipping.